Practice the questions given in the worksheet on multiplication table of 23. 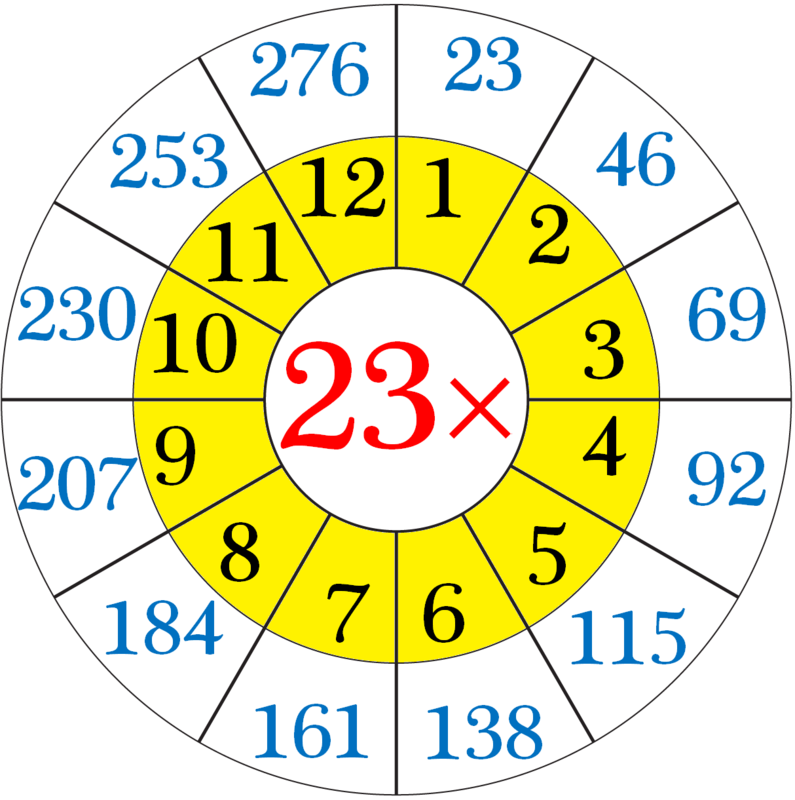 The questions are based on finding the product using the multiplication table of 23. 1. Count forward by 23’s from 23 to 460. 2. Count backwards by 23’s from 460 to 23. 4. Find each product using above multiplication table of 23. 5. A four wheeler covers a distance of 23 km in one litre of petrol. How much distance will it cover in 7 litres of petrol? 6. One metre of cloth costs 12 dollars. What is the cost of 23 metres of cloth? 9. (i) What are 23 twos? (v) What are 3 times 23? (ix) What is 23 multiplied by 12? (x) 2 multiplied by 24? 10. What does 23 × 10 mean? What number is it equal to? 11. The cost of an electric bulb is $ 23. Find the cost of 9 such electric bulbs. 12. A school has 8 periods a day. The duration of each period is 23 minutes. Find the total duration of 8 periods. 13. (i) How many twenty-three’s in 115? (ii) How many twenty-three’s in 207? (iii) How many twenty-three’s in 184? Answers for the worksheet on multiplication table of 23 are given below to check the answers of the above multiplications. 1. 23, 46, 69, 92, 115, 138, 161, 184, 207, 230, 253, 276, 299, 322, 245, 368, 391, 414, 437, 460. 2. 460, 437, 414, 391, 368, 245, 322, 299, 276, 253, 230, 207, 184, 161, 138, 115, 92, 69, 46, 23. 10. 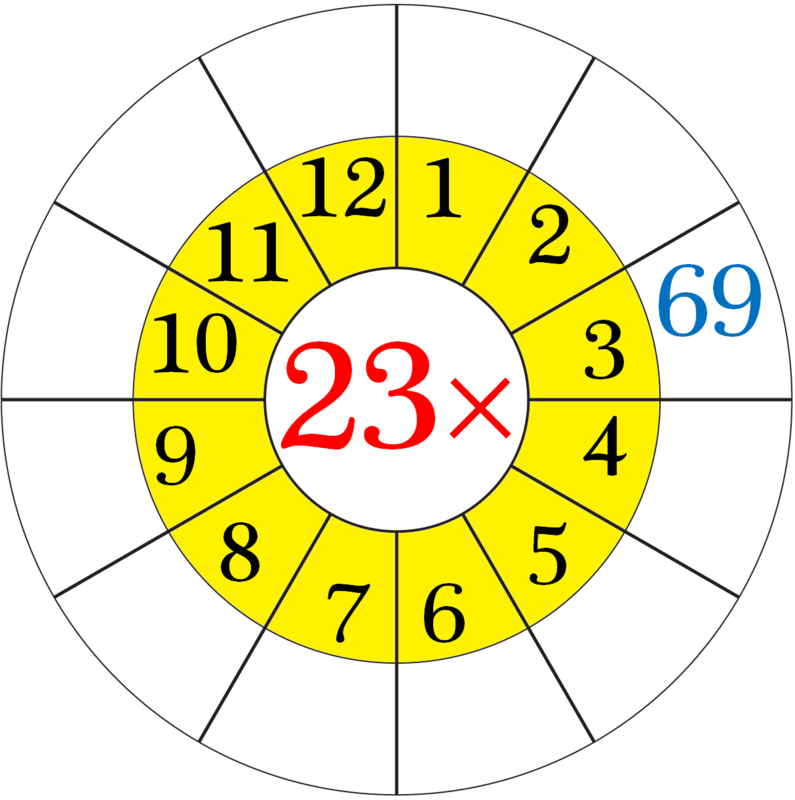 23 × 10 means that the 23 and the 10 are multiplied together or ‘twenty-three tens’ or ‘twenty-three times ten’.